There’s been a lot of news in the Lovecraftian games-space recently! 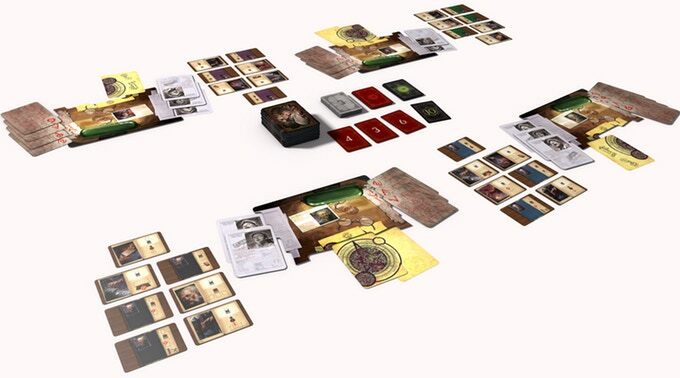 The crew over at Chaosium must be celebrating at the moment – the Kickstarter for their brand new boardgame, Miskatonic University: The Restricted Collection, reached its goal of USD $25K in under 16 hours. What’s more, Miskatonic University will also be Chaosium’s first non-RPG Lovecraftian boardgame since 1987. To find out more about the new game and what other plans Chaosium has for the tabletop, we caught up with Susan O’Brien, the company’s board games line editor (pictured left). As it turns out, Susan also happens to be married to Chaosium’s Vice President Michael O’Brien. Isn’t it nice when two cultists of the Great Old Ones meet and fall in love? 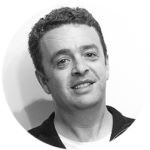 Games vs Play: Hi Susan, thanks for talking with us here on Games vs Play. Congratulations on the success of the Kickstarter for Miskatonic University: The Restricted Collection, you must be very pleased! I’m guessing the game is set in the famous fictional university set in the equally fictional town of Arkham, Massachusetts. Both places were created by American horror writer H.P. Lovecraft as part of his Cthulhu Mythos – but of course anyone feeling excited about this game right now already knew that. Can you tell us a little about the theme and objectives of the game? 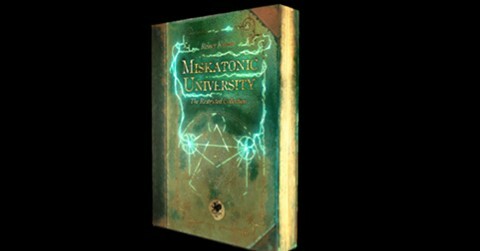 Susan O’Brien: Miskatonic University: The Restricted Collection is for 2 to 5 players, and takes around 30 minutes to play. In true Lovecraftian style, players are seekers of secret wisdom. In their curiosity, reckless graduate students have unleashed a nameless horror from the bowels of Miskatonic University’s famous Orne Library. Players are MU professors, desperately searching the treacherous Restricted Collection, looking for fragments of eldritch lore and arcane sigils to help the Chief Librarian, Dr Henry Armitage, defeat it. But, forbidden knowledge comes at a price … Players always have the opportunity to go deeper, to push their luck, but in so doing, risk their sanity and their souls. GvP: What style of game is Miskatonic University? Susan: The game is a push-your-luck “filler” game – it takes about 30 mins or so to play. You enter the Restricted Collection five times. In each round, defenses get used, the points to be won increase, tension builds, and the professor’s resolve is tested. During each round, players take turns to select a card from the stacks in the center of the table. Cards include grimoire fragments or sigil pieces, with points awarded for completing sets of these differing types of cards. But if two of the same card are turned over players will be expelled from the library with no extra points, unless they can defend themselves: each player is armed with a set of defence cards, allowing them to perform actions – such as reflexively drop what they just found, use their premonition skills, steal from their fellow professors, or even provide a “gift” to their opponents. Hapless graduate students – which we all know are an endlessly renewable resource at Miskatonic University – can be found wandering the stacks, providing a degree of help. Collecting four graduate students allows players to re-use one of their defense cards. Each round, those able to leave the library by choice earn points, with increasingly higher points available as the game continues. The victor is the professor who finds the most sets, while retaining a semblance of sanity. Dr Armitage will award the winner the glittering prize of Head of the Library Committee … and their own key to the Restricted Collection! GvP: Chaosium is famous for giving the world the classic roleplaying games Call of Cthulhu and RuneQuest. You’re also one of the oldest publishers of roleplaying games in the world, having been founded back in 1975. It’s interesting then that I read on the official Chaosium Facebook page that Miskatonic University will be the first Lovecraftian boardgame published by Chaosium since 1987. Can you tell us a little why it’s been so long between drinks? Or between dice rolls, maybe. Susan: Miskatonic University is our first Lovecraftian board game since 1987, when we published the first edition of Arkham Horror (a revised edition is now published by Fantasy Flight Games under license). 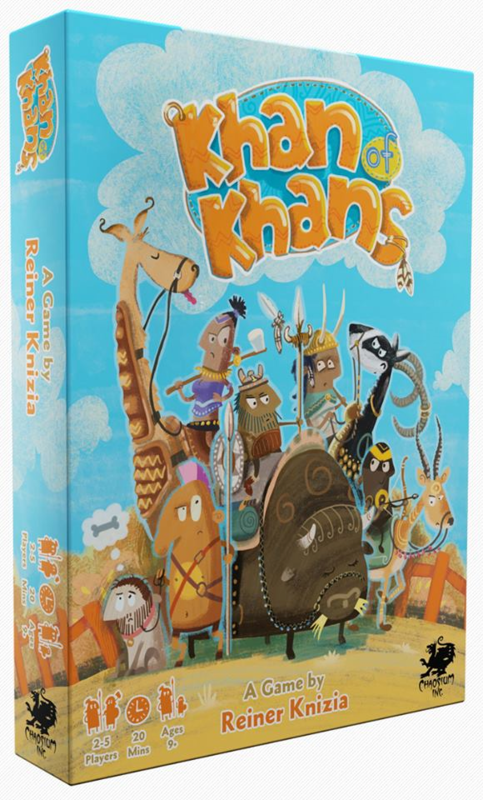 However, we actually returned to board games last year, with Khan of Khans, a family game set in Greg Stafford’s World of Glorantha. Although Chaosium was founded by Greg Stafford to specifically so he could publish his board game, White Bear and Red Moon, following the great success of Chaosium’s RPG lines, especially RuneQuest and Call of Cthulhu, the company’s emphasis changed away from board games to roleplaying games. But of course, board games never left our hearts so we are back again in the board game business! GvP: So, are boardgames an area that Chaosium might expand into, alongside your RPG and fiction lines? Susan: Yes! We have many new board games in development at the moment, so we are definitely going to expand this area. Here’s two we can talk about: We are developing a new version of a previously published game, Credo,“the game of duelling dogmas. This is a game of theological disputation, set in the Council of Nicea. And we’re working on a new collaborative game set in 10th century Japan which combines poetry, story telling and Japanese shapeshifters! So stay tuned! GvP: What were some of the major influences from other games (or from elsewhere) that found their way into Miskatonic University? 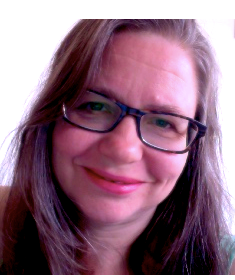 Susan: The designer of the game is the famous German board game designer Reiner Knizia. Reiner is a prolific and influential figure in board game design. Like many of his creations, Miskatonic University: The Restricted Collection is fast to learn and easy to play, but challenging to master. It has simple actions but many strategies and plenty of replay potential. Khan of Khans was also designed by Reiner. As that game is set in Glorantha, it was interesting bringing together two of the best-known names in tabletop design together, Reiner and the “Grand Shaman of Games” himself, Greg Stafford. Greg also really enjoyed demoing Khan of Khans at Gen Con. GvP: Now that the Kickstarter is live, when and how can we get our hands on the game? Susan: The best way is to back the Miskatonic University: The Restricted Collection Kickstarter! USD $25 gets you the complete game, with all stretch goals and expansions. We’re ready to go to print as soon as the Kickstarter ends, so you’ll get your copy as soon as it is printed and shipped. We delivered on the Kickstarter for Khan of Khans on time, and intend to do the same with MU. Later on, the game will be available from our website Chaosium.com, and in retail. GvP: And finally, if you were a student at the real Miskatonic University in Arkham (all that stuff about it being “fictional” is just a government cover-up), which faculty would you choose to study in, and why? Susan: Well, I’ve got a scientific background so I’d be keen to enrol in the Faculty of Astrozoology. Or maybe Parasitology? – I expect Miskatonic University would have a unique take on this. 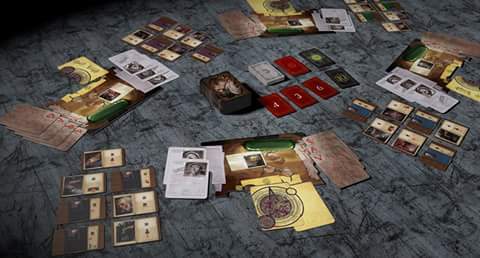 You can back the Kickstarter for Miskatonic University: The Restricted Collection here. Keep an eye on the Chaosium social media pages for more details about the game’s release. Khan of Khans is also available from the Chaosium website.